Brief introduction: ID-1080VF adopts Panasonic 6.40M CCD camera to automatically cut the precuts outline.It can laser cut the abnormal woven or printing trademarks efficiently and perfectly. 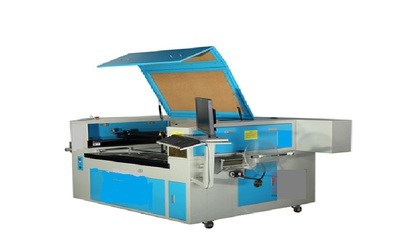 The configuration is very high and ensure the cutting accuracy. Product Feature: 1, Adopts DSP control system, with 128M memory, high quality laser tube. 2, Stepping motors which are imported from Germany, 6.40m CCD industrial Camera, Industrial water cooling system, linear guide rail. 3, Accurate Image catching software and high precise optical meter, 2.0USB interface. Applicable Industry : Widely applied in computerized woven label, irregular trademark, embroidery badge , fabric crafts..